Videos, worksheets, examples, solutions, and activities to help Algebra students learn how to simplify or combine or condense logarithmic expressions using the properties of logarithm. 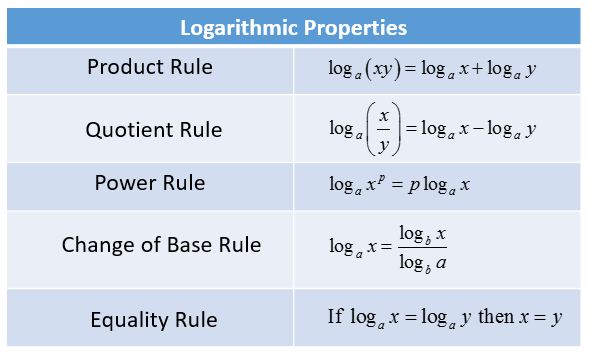 The following table gives the Logarithmic Properties. Scroll down the page for more examples and solutions. How to condense or combine a logarithmic expression into a single logarithm using the properties of logarithms? Combine into a single logarithm. Apply the properties of logarithms to write a single expression. Write as a single expression. How to condense multiple logarithms into a single logarithmic expression?